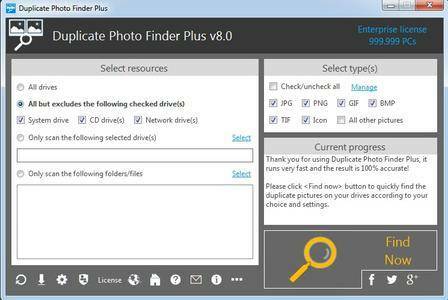 Duplicate Photo Finder Plus - quickly finds the duplicate pictures on your drives relied on picture content, you can remove the unwanted pictures to recover your valuable disk space, reduce the management costs and avoid the unnecessary confusion. It works very fast because of our high-speed picture comparison algorithm is built-in. And the result (duplicate pictures) is 100% accurate due to it compares pictures relied on picture content, not picture name, last modified date or file size. Once the finding is done, you will see the result (the duplicate pictures list and previews for the selected group) instantly. It checks the unwanted pictures automatically with the smart selection feature, sorts the result by size in descending, and marks the adjacent duplicate picture groups by different colors, in order to let you operate the duplicate pictures conveniently. 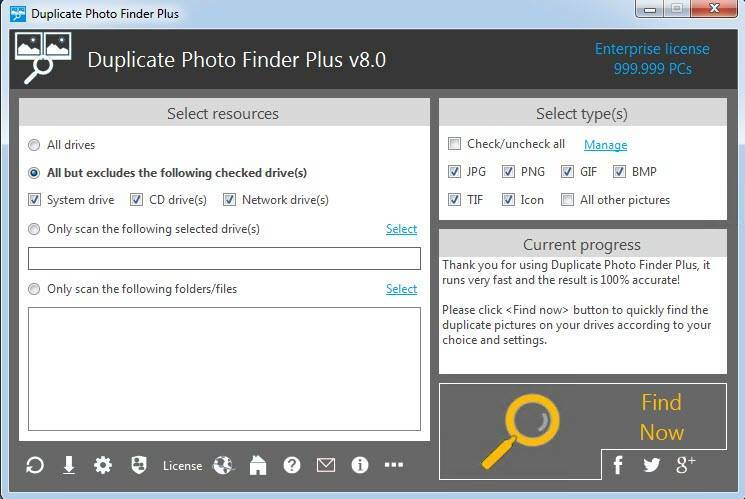 You can also do some common actions for the checked duplicate pictures / highlighted picture in the result listing, such as Save, Load, Move to Recycle Bin, Delete, Open/Run, Open File Location, Find, Uncheck All, Invert Checks and Show Properties.